After only 5 hours of sleep, it's time to have buffet breakfast with the champions - the SEA Games participants, specifically. With the shuttle bus leaving for the airport at 9:30am, there's not enough time for me to sneak into the city for a quick tour. Contented myself with walking around the hotel premises. More airport woes. After queuing up at the check-in line for half an hour, the lady tells me that I have to pay THB700 airport tax. Well, it's not my fault that my flight was delayed and I have to check in again the next day. So off I go to the Qantas office and get them to pony up the 700 baht. By the time I sort everything out and get to the boarding gates, it's an hour before departure. The Finnair plane is pretty cramped, and no personal video screens. If you're bored, you can rent a PSP. If you're still hungry after the meal, you can purchase instant noodles, Pringles, cookies, and chocolate bars from the stewardesses. Spent the 10-hour flight reading the newspapers and magazines. 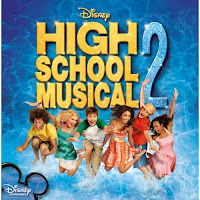 Since it came highly recommended, I also watched Disney's High School Musical 2. Call me old-fashioned, but I don't think it's natural for kids to suddenly break out into song and dance every time there's five of them around. I'm leaving this to the tweens. Things got interesting when we touched down. I turn on my phone, and five minutes later I got an emergency page. Apparently, the hard disks of the Sunshine OSCs are acting up again. Strictly speaking, it's none of my business anymore, but they don't call me Mr. Nice Guy for nothing. Turns out the engineer is on-site to change the disk array controller, and wants to know how to turn off the boxes. On the other hand, our customer wants to know how to switch the traffic to Rosebery if the OSCs will be offline. Taking the €22 airport shuttle to the city, I quickly checked in to my room at Crown Plaza, and logged on to the Internet. A few emails later, I managed to quieten things down, so I can have a few hours sleep before I attend my training.